SMK: one REIT ETF for yield pigs? Are you an yield pig? Bond king Jeffrey Gundlach of Doubleline Capital suggested a pair trade at the Ira Sohn investment conference on Wednesday: Sell utilities while investing in mortgage REITs. 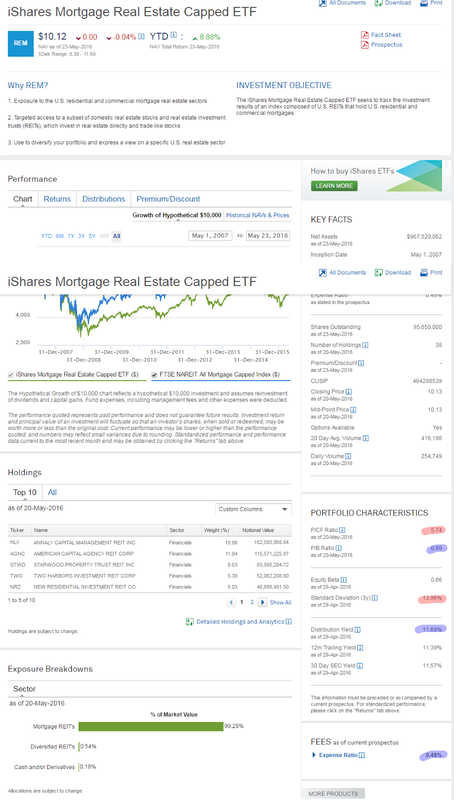 He suggested going short the Utilities Select Sector SPDR (XLU) while going long on theiShares Mortgage Real Estate Capped ETF (REM). The two asset classes have diverged in recent months as investors have flocked to utilities amid market instability. “The utilities index has done extraordinarily well because people think it’s safe,” Gundlach said. The mortgage REITs, meanwhile, have lagged. He suspects that has more to do with market psychology than with fundamentals, as skittish ETF investors have cashed out of REM, causing downward pressure on the ETF. The REITs now trade at 0.8 times book value, while utilities trade at 1.9 times. “I expect things will converge,” he said, noting that they’ve traded in relatively close correlation historically. Gundlach suggests using leverage to goose the trade, which he suspects will return 35% in a year’s time.